Coworth Park is a restored Georgian Manor House and estate with 70 rooms and suites. The interiors at Coworth Park exhibit a distinctly modern flair. Our guests can look forward to fine materials, exquisite craftsmanship and bespoke furniture. Coworth Park is in one of the finest locations in England and just a stone’s throw from Windsor Great Park. 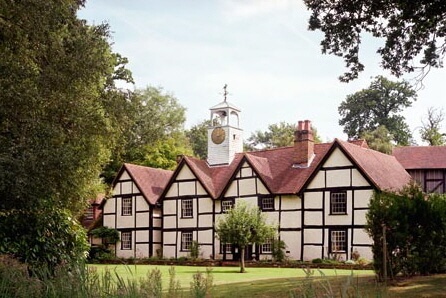 It is the perfect spot for guests to take pleasure in many of England’s greatest traditions, be it a day’s racing at Royal Ascot, afternoon tea in the conservatory, croquet on the lawn, a round of golf at neighbouring Wentworth or Sunningdale, or simply enjoying a family picnic in the woods. With a rich equestrian heritage Coworth Park is the only hotel in the UK with its own polo fields. With stabling for up to 40 horses guests can benefit from the team of professional trainers to take riding lessons or learn to play polo, whilst the more experienced riders can go for a canter across the open fields on the estate. The ground breaking eco-luxury Spa at Coworth Park is an architectural wonder, partially submerged in the Spa’s landscape, its upper floor takes in breathtaking views of the surrounding English parkland.